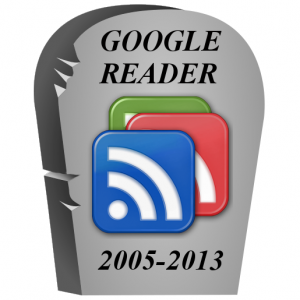 Google reader died yesterday, and people are looking for alternative services as their RSS reader. There are quiet a few new readers out there to fill the gap but here are the 3 that I recommend using. This is the main alternative to Google reader, because it is available across IOS, Android, and of course your PC. This feed reader has been around for quiet sometime, and was the main feed for people to use after the death of Google Reader. It is also the most stable of these three readers. Digg and AOL jumped into this space a little too late but they are on the list for good reason. Feedly was the self proclaimed best Google reader alternative but after they added their transfer from Google Reader, they gained thousands of members. Digg has made it because it is powered by the powerful Digg network. Digg gets articles submitted by the minute maybe even seconds, and their reader is able to work with Google Reader feeds. This Reader is still under some work but it is fully functional all that they are doing now, is adding in some new features but other than that, you should be able to use it like you would any other RSS Reader. This Reader is still in beta, but it is functional and is backed by AOL. I do not prefer this reader, however it is still backed by a large company and it is one of focuses by AOL. Whether you use AOL or not is up to you, but their Reader is definitely a good alternative to compared to some of the other ones we have seen. Next articleApple Trademarking The "iWatch"